The monsoon has settled down and the synoptic activity responsible for the Indian monsoon has been showing good shape, ideal after two years of consecutive drought, says the India Meteorological Department. Since the beginning of July, most parts of the country have received good rainfall as the clouds have continued to move northwards. After a week’s delay in its onset in Kerala, the monsoon has gained ground and arrived on schedule in the north towards the end of June-beginning of July. According to the latest estimates, the monsoon clouds have further picked speed and reached parts of northwest India and Pakistan before schedule. Most parts of the country have received good rainfall so far this year with 30 of the 36 meteorological sub-stations having recorded at least normal rains and 11 of those have registered rainfall excess of 20 per cent above average. While the beginning of June saw rains in the southern peninsula and Konkan region, the action has shifted northwards since then. The last two weeks have seen extremely heavy downpours in Madhya Pradesh, Maharashtra, Himachal Pradesh, Uttarakhand and parts of Rajasthan. The heavy rains have pushed India’s total rainfall 4 per cent above normal from 11 per cent below normal last week. Water levels in reservoirs have begun to rise with some registering storage above critical levels. 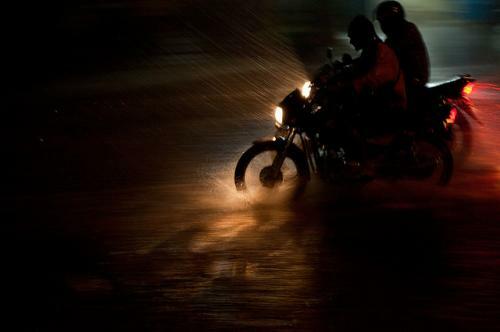 The monsoons though have still been a bit of a start-stop affair in the eastern and northeastern states of the country. Cumulatively, the region has received 23 per cent below normal rains although the deficit has been reducing over the past two weeks. 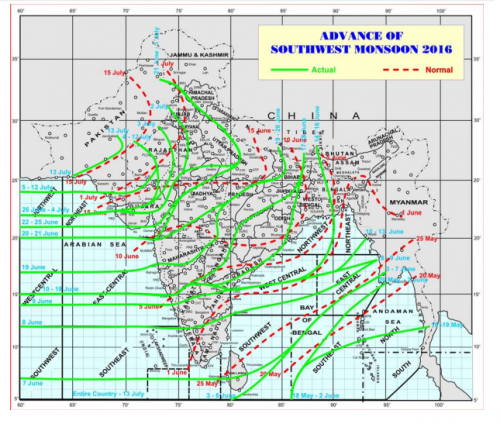 Western regions of Gujarat and Saurashtra have also recorded below normal rains so far. While above normal rainfall is good for the most part, it has also wreaked havoc across many districts in the country. Flood prone areas in the north-east have been inundated as the Brahmaputra swelled despite the deficient rains. The hill states have seen some devastating flashfloods over the past two weeks. More than 12 people were killed by flashfloods and landslides in Uttarakhand. Torrential rains in parts of Madhya Pradesh, Maharashtra and eastern Rajasthan have also killed close to 30 people. Sporadic reports of floods have come out of north Karnataka, Telangana and Andhra Pradesh. In several districts across the country, rains have come as tempestuous downpours that have caused floods rather than as evenly distributed showers. Incidences of extreme rain events have been high in July with more than 100mm of total rainfall. According to the dynamic numerical prediction models of the IMD, the rainclouds are set to move northwards and north-westwards from Uttar Pradesh in the coming week. Above normal rains are also expected in the east and northeast of the country which might help to further reduce the rain deficit in the region. Rain bearing winds are also expected to hit the east coast in Andhra Pradesh after July 20. While the southern Peninsula is set to receive normal rainfall over the coming weeks, central and western India will see subdued rainfall according to the latest forecasts. In April, the IMD had predicted surplus rains for July and August. Their predictions have been on spot so far and it is likely that the surplus rains will continue in August. Although rainfall was needed following consecutive strong droughts, excess downpour can cause havoc. The month of August will be critical to farmers in determining how productive this year’s monsoon will be. There is a high possibility of floods in the hill states, northern plains and central India until the end of August. This threatens to affect agricultural output and farmers would be well advised to be prepared for deluges. Taking in account various reports of water logging in July, cities across India need to increase preparedness against heavy rains.